Indian cinema has gone from strength to strength with nuances of VFX helping the filmmakers to achieve what looked impossible in the times before. We have witnessed a spate of movies that have stunned us with their VFX-heavy content. Redchillies has been consistently dishing out exceptional content year after year. Courtesy of the VFX technicians and studios in India, unprecedented feats have been achieved over the past few years but this time redchillies.vfx conspicuously tipped the scales with their piquant work on shrinking the superstar into a dwarf for the entire duration of the film Zero. Naturally, we had been majorly reeling with curiosities in regards to the visual aspect ever since we saw the movie. How did they pull this off? What sort of techniques did they employ? Did they use a body-double? How did they really manage to shrink our beloved star into a dwarf? 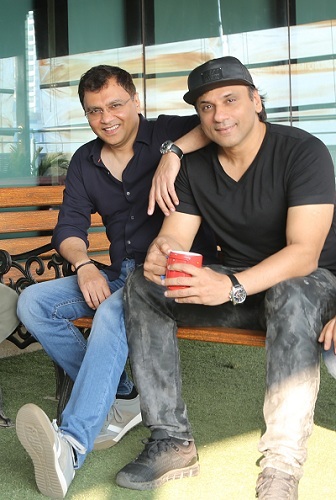 We spoke to the redchillies.vfx chief operating officer and VFX producer Keitan Yadav and chief creative officer and VFX supervisor Harry Hingorani to lay to rest all the questions that were impinged on our minds about the VFX aspect of the movie Zero. What are the challenges and difficulties you faced in the process of VFX in Zero? Harry: When we heard the concept, we realized this is a difficult task. We had two options, go the Hollywood way like in Curious Case of Benjamin Button. This meant using a body-double and replacing the face with SRK’s. We felt this concept would not work in this project because audiences are very much connected to the actor. We wanted to ensure that SRK’s mannerism, body language is retained. So it was unanimously decided that SRK would play this role himself, no body double. How do we do this? The biggest challenge was to make sure that the VFX is seamless so that the audiences cannot make out something is different and this way, accept SRK as a dwarf. This was achieved by the use of blocks (which is also mentioned in the behind the scene by SRK). So if you’ve watched Aanand L Rai’s previous movies, they are filled with human emotions and drama. So keeping this theme in mind, we used the block style to make sure the eye-line amongst the actors matched. We constructed one and a half feet perimeter of boxes within which SRK would stand and the other actors would stand on them. Every set we created, we had to keep in mind this process…and as and when it was needed, we would remove the boxes. Keitan: Besides creative challenges, we also had the production pipeline to look after. We realized that we had two and a half lakh tasks spread across 2400 shots, and each shot had five plates. This meant multiple elements to be managed in each task. So streamlining the production process was critical. We achieved this by outsourcing our 2D to 3D shots conversions. The studios would work on rotoscopy and send it back to rcvfx. Once we received it, our artists would start the dwarf creation process. It was a huge challenge to coordinate between 58 studios. The process was like this: One studio would deliver certain shots, then rcvfx would start the process. Then the other VFX aspects like cleanups, environment generation/simulation would be created. A constant and never-ending process with shots coming in and going out. The R&D for the movie took us six months and the post-production took us nearly a year and a half to complete. 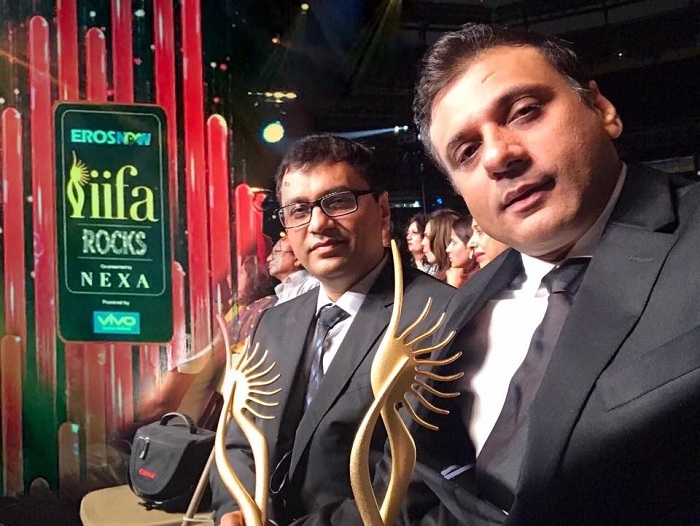 Zero is being branded as one of the most VFX-heavy Indian movies ever. Recently we saw a flurry of VFX-rich India movies pouring onto the big screen. Would it be right to say that filmmakers in India are finally coming around to the importance of VFX to enhance their stories? Harry: I feel new possibilities have opened up in Bollywood not just for us, but for other filmmakers after ZERO. Now filmmakers can shrink the actors, make them taller etc. This has opened up an entirely new market. Films will now start looking more realistic and believable. Keitan: Also, film-makers are getting into genres like sci-fi, periodicals, history-related. All these mentioned genres require VFX as it entails creating the past. How difficult was the task of shrinking SRK to the size of a dwarf and making it look realistic? Harry: As mentioned, we didn’t want to go down the path of face replacement as the audiences are very smart these days and they would’ve figured it out. Having been in the industry for over 25 years, everyone recognizes SRK’s mannerism and behaviour. Thus, we decided to shoot every scene with SRK though, we had a body double, strictly for reference. We had 1600 artists working on this movie, 600 being only from our studio. The reason we had a body double was for reference to give the outsourced studios. Every shot was taken five times: 1st was the master take, 2nd then the pit shots. The 3rd plate was the cover the background /foreground with people, and the final shot was a clean plate in case we missed something and required replacement/cleanup. And finally the chrome ball, which captures 360 degrees of lighting set up and post-production. we could re-simulate the lighting effects to ensure it all looks believable and real. How we made it all look real. In the last plate (regeneration plate) SRK would act keeping his arms stretched out. The reason for this, his hand would overlap his body or someone else’s face when we shrunk it, that portion/space would turn black. Thus, to ensure this isn’t the case, we shot five plates for each shot. That was a big challenge so in a day, we could only shoot six-seven shots. The character as per the director had to look cute, which was the main challenge for post-production. Keeping the demeanour and characteristic and yet, shrinking SRK’ character proportionately. Keitan: In total 58 studios worked on the project and 1600 artists, out of which, a team of 600 were from rcvfx. Keitan: There were 2800 VFX shots in the film, however, only 2400 shots made it to the final reel. How much was the director involved in the VFX process? Harry: The director, editor, writer and SRK were all involved from day one. When we heard the concept of the movie from Aanand L. Rai, he also informed us that he’d gone to Hollywood studios who turned the project down as they wanted to use a body double and replace the face. They felt it was a big task and they did not have enough time. They weren’t confident that they’d carry out a two and half hour movie as it’s time and labour consuming. So when this project came to us, we didn’t want to go the face replacement way. The Director and writer were very clear that SRK’s character had to look cute and likeable as he was working with two glamorous actors. Besides SRK’s character, we have even worked on structural VFX, creating interiors of places. We would schedule monthly presentation meetings with the Director, producer and SRK to show them updates and get feedback. Keitan: We wanted to create a pipeline as this kind of project/movie wasn’t ever done before, so we approached very famous companies as we wanted the process to be automated. They mentioned three and half years to get an alpha version and millions of dollars for it so we took it upon ourselves to do it entirely. The average percentage of the movie’s budget allocated for VFX? It was a never-done-before VFX project, not just in India but globally. With a good six months of Research and Development budget and then an executive budget for 58 studios, Cost of VFX was around USD 11-12 million. Not so long ago, VFX work used to be relegated to the post-production department of the filmmaking process where importance was not adequately given but things are changing for the better. We are chuffed to discover that filmmakers are using visual effect technology right from the start as pre-visualisation and every step of the way. We are indeed in the midst of a transformation that is progressively adding useful engines to the way stories are told.